Here's a little sampling of the many letterpress items we'll have on hand for the Renegade Craft Fair in San Francisco July 18 & 19. The weather should be beautiful this weekend, so come on out and shop this amazing selection of local, handmade products. Looking for something fun to do in the Bay Area this weekend? 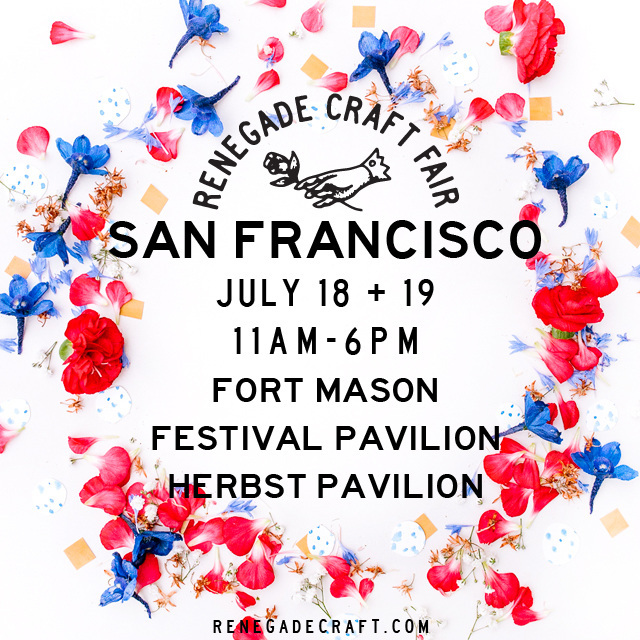 The San Francisco Renegade Craft Fair is happening July 18 & 19 at Fort Mason Center. And buyers—don't forget that this Friday is the Wholesale Market from 12–5. Hope to see you there! 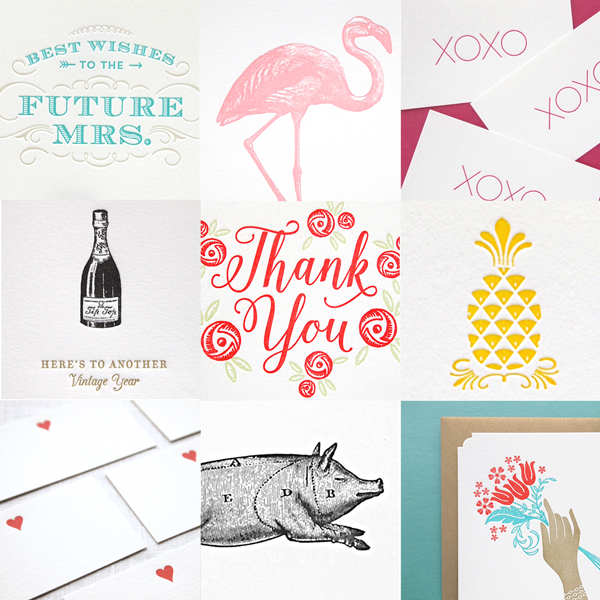 We're so excited about our new line of Deluxe Greetings, that we're holding a giveaway for the full set of 4 gorgeous letterpress cards! 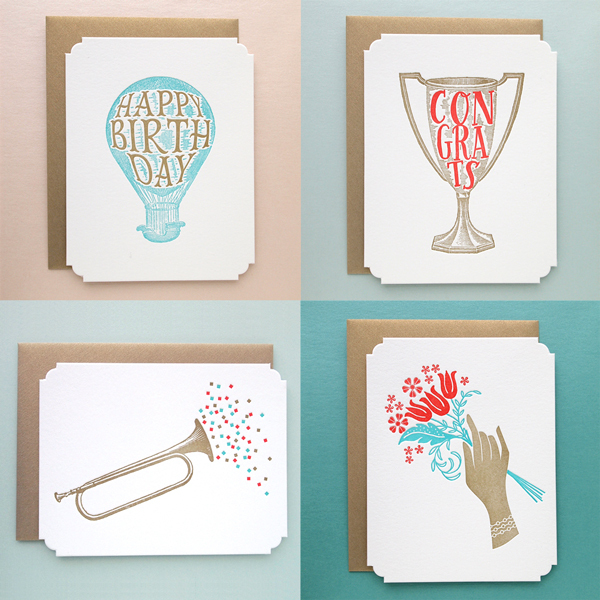 Head over to our Instagram feed to follow us and enter to win this lovely set of luxury letterpress cards. Attention SF Bay Area letterpress lovers! 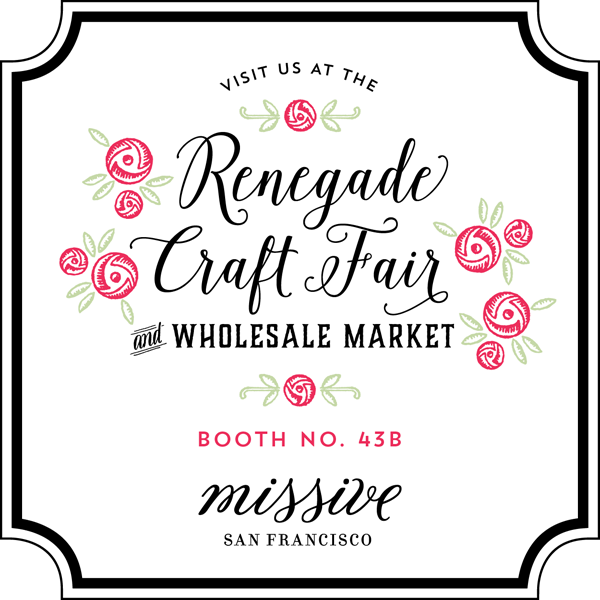 We will be selling our paper goods at the upcoming San Francisco Renegade Craft Fair as well as exhibiting our line at the Renegade Craft Wholesale Market, which is exclusively for retail buyers. Come out and shop on July 18th and 19th, or if you are a buyer interested in stocking our line in your shop, email us before July 4th and we'll be sure to mail you a paper invite! Visit us at Booth 43B.